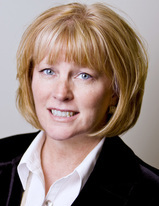 OSEP Update: Our New Secretary and Resources Galore! 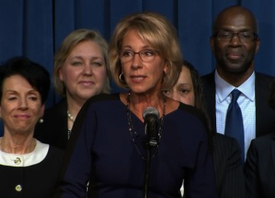 TOP NEWS: Department Welcomes Education Secretary Betsy DeVos! ED UPDATE: Literacy Center breaks virtual ground! Elisabeth "Betsy" DeVos was confirmed as the 11th U.S. Secretary of Education on February 7th, 2017. We look forward to working with Secretary DeVos, and thank her for her words to staff on her first day as Secretary, "...embracing diversity and inclusion are key elements for success...I believe that getting to know, working with, befriending and including people who are different from ourselves is enriching and expanding." We've had a busy start to the year, including our very first OSEP Symposium, the first of three virtual meetings on varying topics. February's Symposium discussed Significant Disproportionality. Visit the OSEP Meetings page for all of the Symposium materials, including a recording and transcript of the live presentations, as well as an opportunity to engage in a post-work discussion. OSEP also released the Significant Disproportionality 101 webinar, which walks through the contents of the Equity in IDEA final rule by providing: (1) an overview of the final rule; (2) an explanation of the standard methodology and; (3) a description of the upcoming data reporting requirements. Finally, we'd like to bring your attention to our IDEA.ed.gov website. On February 8, the server hosting the site crashed. Starting that evening, users were redirected to a web page with the most pertinent IDEA-related information. Testing indicated the existing host server was not stable, so the agency began moving files to a viable host server. We are happy to report that IDEA.ed.gov is up-and-running, and that we will soon begin outreach to stakeholders to get input on a new and improved site. IDEA.ed.gov will continue to be available. Please send in your thoughts on additional resources and features for this new site, or just let us know what your favorite current resource is, so that we can be sure to include it! Watch the OSERS blog site for the opportunity to provide input. New Newsletter: Early Learning at ED! In February the Department released a revamped version of its monthly Early Learning at ED newsletter, which shares with readers updates from the U.S. Department of Education and our partners on the work we are doing in the field of early childhood education and intervention. Check out the newsletter archive on the Department's Early Learning webpage, and subscribe here. Please help us continue to improve the look and content of the newsletter by providing feedback to EarlyLearning@ed.gov. The Pyramid Equity Project (PEP) is working in partnership with two Preschool Development Grant programs: Clifton Early Learner Academy in Clifton, New Jersey and Cambridge Early Learning Center in Antioch, Tennessee to implement the Pyramid Model to address inequities in early childhood discipline practices. Together they are implementing the program-wide use of effective practices and procedures for promoting the social and emotional skills of all children, preventing challenging behavior of children at risk of challenging behavior, and providing individualized interventions for children with persistent challenging behavior. Notice inviting applications for the State Personnel Development Grant program (CFDA 84.323A). Deadline for transmittal of applications: April 14, 2017. New hub of resources from the SISEP Center! The State Implementation and Scaling Up of Evidence-based Practices Center (SISEP) has created a one-stop shop called the Active Implementation Hub, which includes lessons, videos, work groups, and other tools to support the implementation of evidence-based practices. 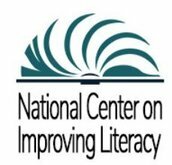 The National Center on Improving Literacy launched its website early in February. The Center is a partnership between literacy experts, university researchers, and technical assistance providers at the University of Oregon, Florida State University and RMC Research Corporation, and is jointly administered by OSEP and the Office of Elementary and Secondary Education. The Center will increase access to, and use of, evidence-based approaches to screen, identify, and teach students with literacy-related disabilities, including dyslexia. Stay tuned as resources for States, schools, families and communities are rolled out in the next few months, make sure to follow the Center’s facebook page and twitter feed, and click here to subscribe to the Center's newsletter. Words of wisdom from Brenda Van Gorder, early learning director at Granite County Schools in Salt Lake City, Utah. Read Brenda's interview on the OSERS Blog, where she shares with us the importance of high quality preschool programs, and strategies for overcoming barriers to inclusion, all based on her experiences leading the expansion of preschool opportunities. Visit our blog for powerful stories and useful information from parents, families, educators and practitioners in the field. Be sure to bookmark sites.ed.gov/osers for future posts!